What Do You Have to Prove to Make an Atlanta Car Accident Claim? 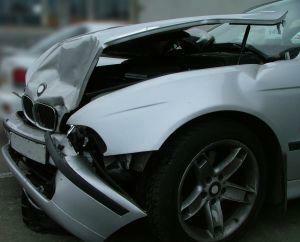 Many victims of car accidents wish to pursue a claim to recover compensation for losses. If you or someone you love has been involved in a collision, you must know what has to be proved in order for you to get the money you need to move on after the crash. Determining what the law requires you to prove can be complicated, as can actually conducting investigations to discover evidence. An Atlanta car accident lawyer will help you to make your case. We can explain the law to you and our legal team can get to work on putting together a strong damage claim. Give us a call today to find out more about how we help you to fight for full compensation. What Has to be Proved in an Atlanta Car Accident Claim? To make a claim after a car accident, you either must negotiate an out-of-court settlement or you have to prove you have legal grounds for a civil personal injury claim. If you are negotiating a settlement, you will usually be dealing with the insurance company of the driver who caused your collision to occur. If you are taking the case to court, you have to prove your entitlement to damages by a preponderance of the evidence, which means showing that it is more likely than not that the evidence being presented is true and points to the defendant being liable. Whether you are involved in settlement negotiations or a civil case, you want to have as much evidence as you can about how the accident happened and about the extent of your injuries. This can help you to convince the insurer to make you a more favorable settlement offer. It can also make it possible for you to meet your burden of proving your case in a civil claim. The ways in which the defendant was negligent. Was the driver violating the law, speeding, or weaving in and out of traffic? Having evidence- including witness statements and pictures- can help you to show how the defendant fell short of driving as carefully as he should have. The negligence caused the accident. Lots of different things can go wrong when driving, but you can only make a case if you show the defendant's actions actually caused the crash to happen. You don't want to be pursuing a case (and incurring fees and costs) unless you can show the defendant's negligence was the specific cause of your collision. The extent of damage. An expert should be consulted if you are worried about ongoing medical expenses or pain which will linger after the collision. If you can successfully make your case, you should be entitled to be fully compensated for economic and non-financial losses. An Atlanta car accident lawyer can help prove your case so you can get the best chance of recovering compensation. You should contact an attorney as soon as you can after the crash so the investigation into the collision cause can begin.